List Your Barn conversions for sale! 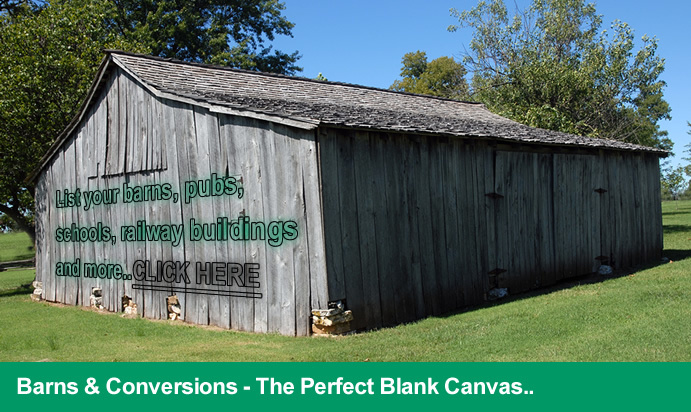 Conversions for sale including barns, derelict barns, barn, school, railway carriage, station, double decker bus, pub/public house conversions..
Barns, barn conversions, derelict barns, schools/pubs and railway conversions - List your barn conversiion for sale. There are many other different original buildings that can be converted including old bakery buildings, quaint shops, water towers/industrial and public houses. There are plenty of things to look out for when buying an original building for a conversion project. Make sure your mortgage will allow you to buy the property, get planning permission/submit plans, work out a budget and hire recommended tradespeople. Period Property - Thatched Cottages For Sale! Property Listings For Country Cottages, Jacobean, Tudor Mansions and Manors, Fine Victorian and Edwardian Houses. Period homes, cottages and historic property often have great character and usually a good story to tell, they also make really unique and unusual homes. You can sell your period cottages, thatched cottages, cob cottages, jacobean and tudor mansions and manors, fine victorian properties and edwardian homes, period property for sale or search for one of these stunning properties to buy. There are some great deals on smaller cottages and also some exclusive purchases to be had on slightly more grand offerings! List property for sale that needs modernising, renovation or refurbishment! 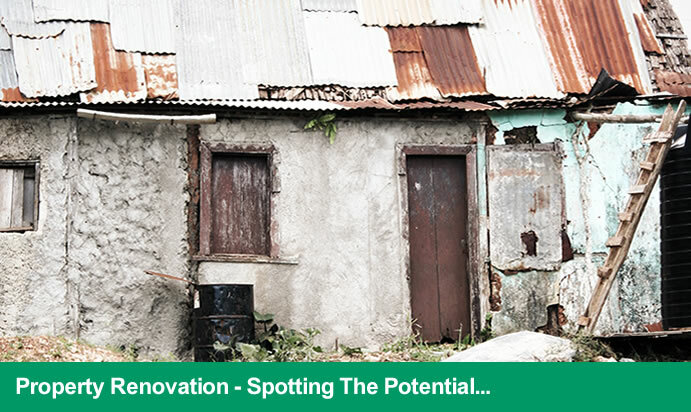 Unusual homes and property that needs refurbishing/modernising or renovating are great for homebuyers on a tight budget. If you plan your development well, you could save or make thousands of pounds and get a great, freshly modernised property in the process. There are plenty of things to look out for when buying a house in need of renovation or refurbishment. Make sure your mortgage will allow you to buy the house, get a full survey completed and make sure you are insured for an empty home whilst you do the work. Luxury Villas With A Difference.. Luxury villas can be found all over the world in every different shape and size. Some are individual designs with personal touches, others more established traditional dwellings with character. There is of course one more category..the unusual. 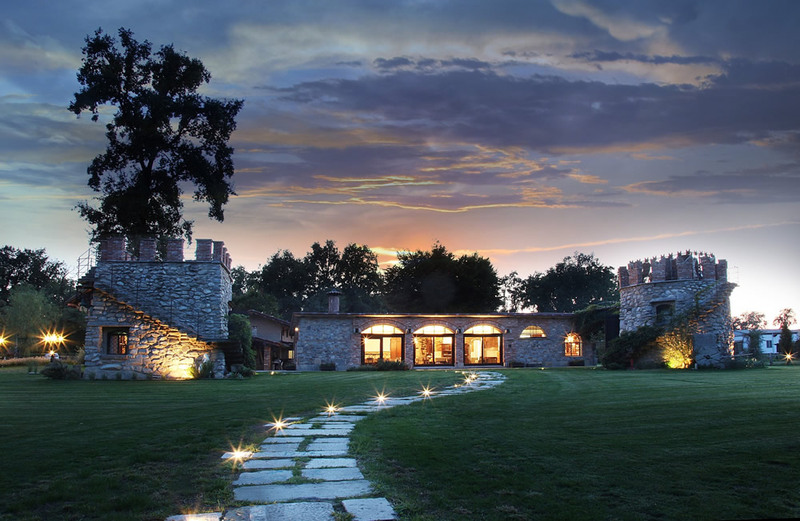 Unique and unusual luxury homes, although more difficult to find, often have curiously designed spaces to cater for their demanding and eclectic buyers. For instance, the Microsoft mogul himself opted for a 'batcave' design for his $12.3 billion dollar luxury home.